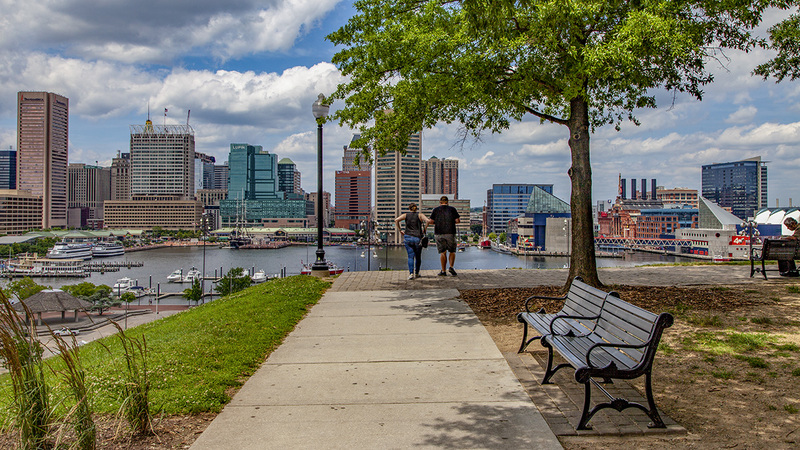 Rising some 80 feet above Baltimore’s Inner Harbor, this natural landmark was named Federal Hill in 1788 after Baltimoreans held a celebration there for Maryland’s ratification of the U.S. Constitution. 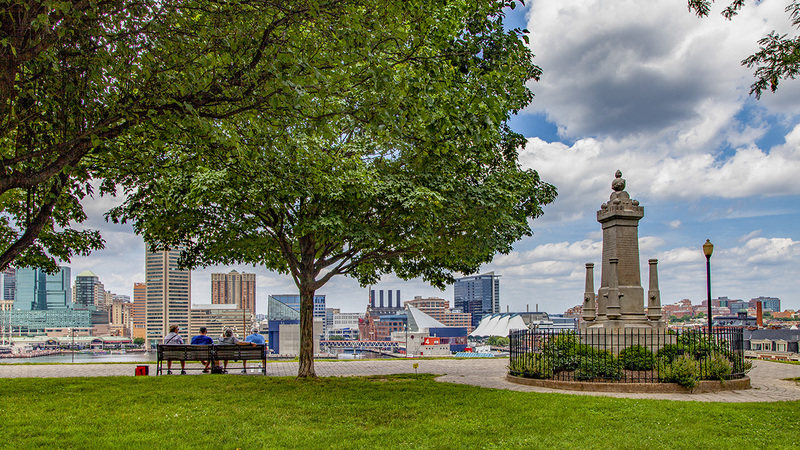 The summit of Federal Hill affords panoramic views and has been used as an overlook throughout the city’s history. A marine observatory was built there in 1795 under the guidance of David Porter so that ships’ arrivals could be signaled to merchants and residents; the original observatory was replaced by a Victorian-era tower, which succumbed to violent weather in 1902. 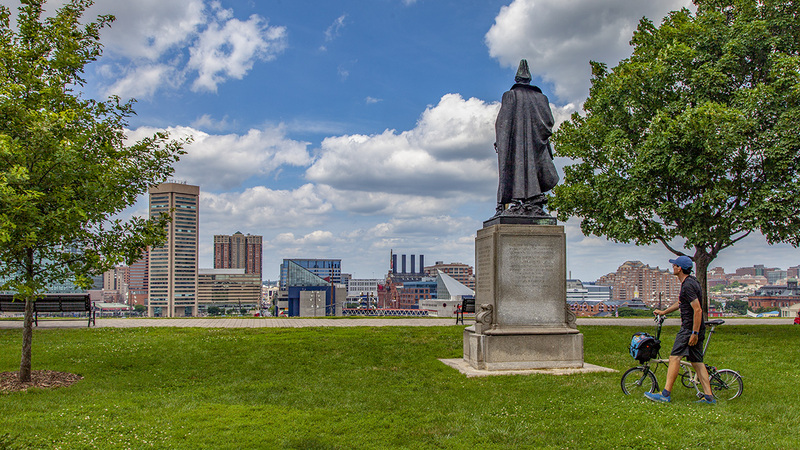 The site was an important military position during the War of 1812 (monuments for military leaders George Armistead and Samuel Smith sit atop the hill today), and the Union army occupied and fortified the site during the Civil War. Recognized for its mineral resources, the hill was also quarried for clay throughout the nineteenth century, leaving underground tunnels later used for storage. 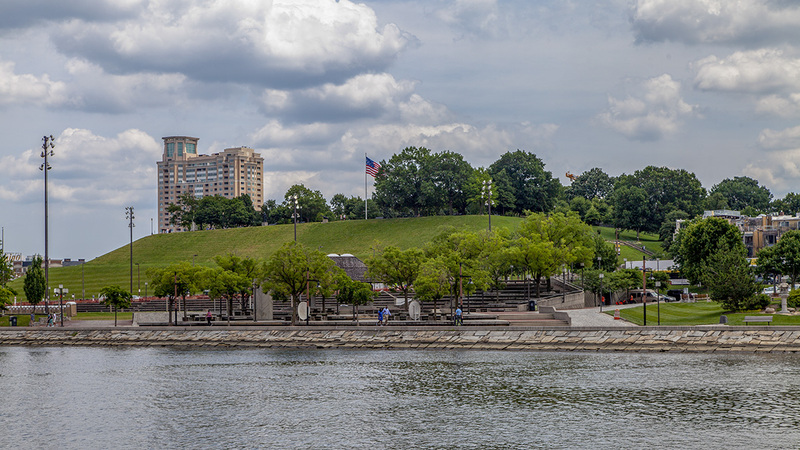 In 1880 the city purchased the 8.5-acre site and dedicated it as Federal Hill Park. 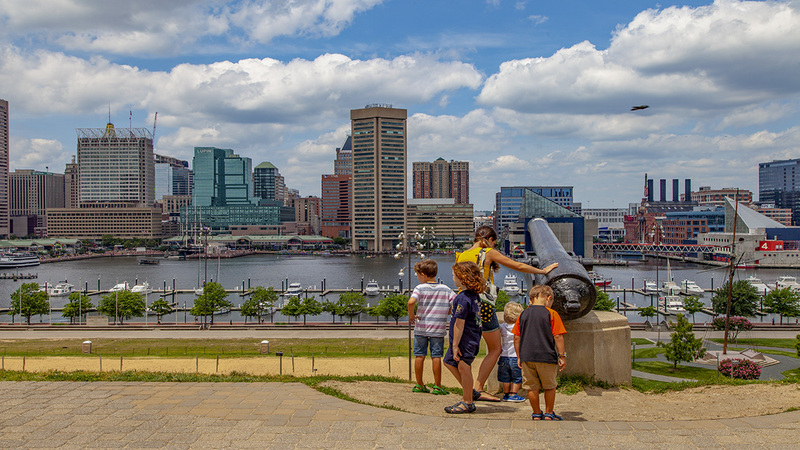 The hilltop plateau continues to attract visitors to its stunning views of the city and harbor. 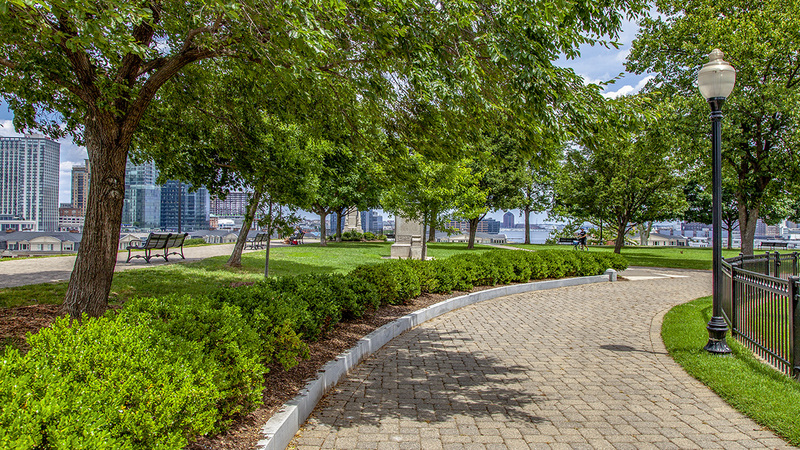 The mound-like park rises several feet above the street on its southern border, while the lawns facing the harbor to the north and east slope dramatically down before meeting a six-foot-high stone retaining wall. 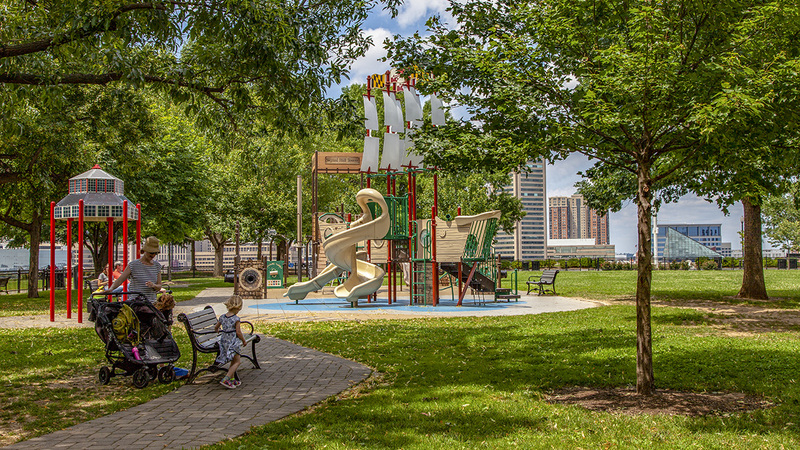 The hilltop’s outermost walkway echoes the rectangular form of the ridge, while an inner path curves through the grounds and circles a central lawn and playground. 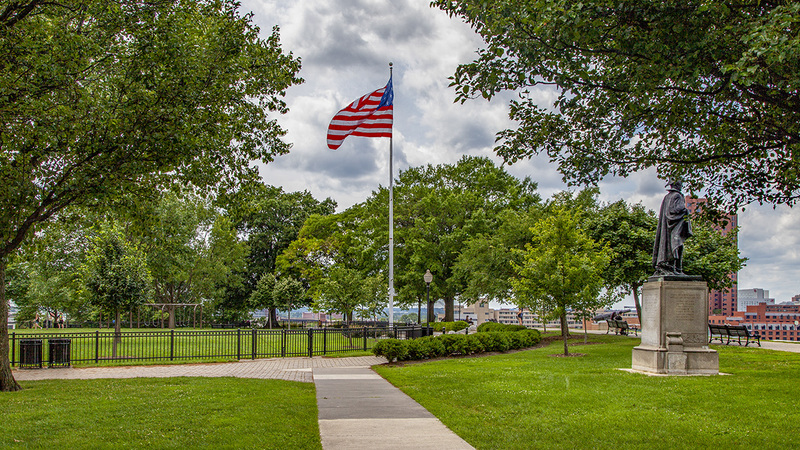 Federal Hill Park is a contributing feature to the Federal Hill Historic District, which was listed in the National Register of Historic Places in 1970.